When Bhagavan Ramana was living at Skandasramam, I was once alone with him, sitting on the steps leading up to the Asramam. A man came to the gate with his family and stopped there and called out to me. I went to see what this man wanted. 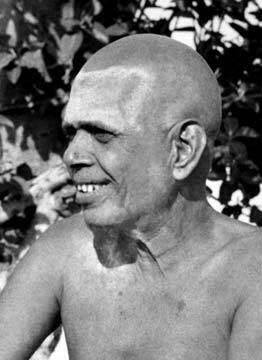 The man asked me to go and ask the Swami (Bhagavan Ramana) whether he and his family could approach Bhagavan and receive his Darshan (Darshan means to be in presence of the Divine or a great saint). 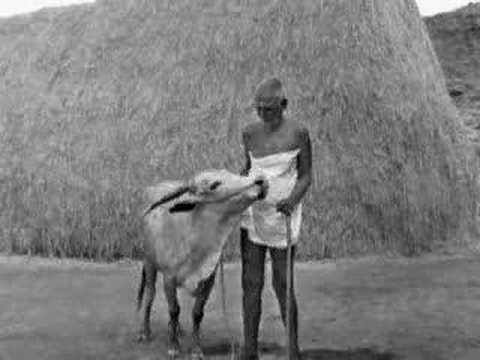 ( The “Untouchables” are considered the lowest caste in Hinduism and historically some high caste Hindus in India have viewed the untouchables as inherently unclean, inferior, and not suited for spiritual life. Many Brahmins (highest caste Hindus) tend to avoid being in the presence of the Untouchables. It is to be noted that Bhagavan Ramana was born in a Brahmin family). I started to go back to Bhagavan to ask permission, but then it occurred to me that even to ask Bhagavan would be an injustice to this man and his family. I told the man that Caste had no meaning with Bhagavan Ramana and that they would be welcome. The whole party then came and prostrated before Bhagavan. I well remember how for about ten minutes Bhagavan’s gracious look dwelt on that Man and his family; and how many rich and notable people have I seen fall at Bhagavan’s feet without being vouchsafed such grace. You have no caste. No duties bind you. The Ashtavakra Gita quote is as clear as clear could be! The point that is not clear though is why such magnificent formless energy operates through various forms where the senses come into play and wreak such havoc and suffering! Would be very grateful if someone can clarify. The Verse is poetry, it could be inspiring. The only interesting thought to me is that it is not perhaps poetry, but a darshana or a self evident nature of being. As the former it will always remain a paradox and if the latter holds true then there is no paradox, because the suffering becomes poetry. To me it is still poetry.